We are celebrating our real Christmas today, after a weekend of plumbing mishaps that prevented us from exiting the Stress Zone. 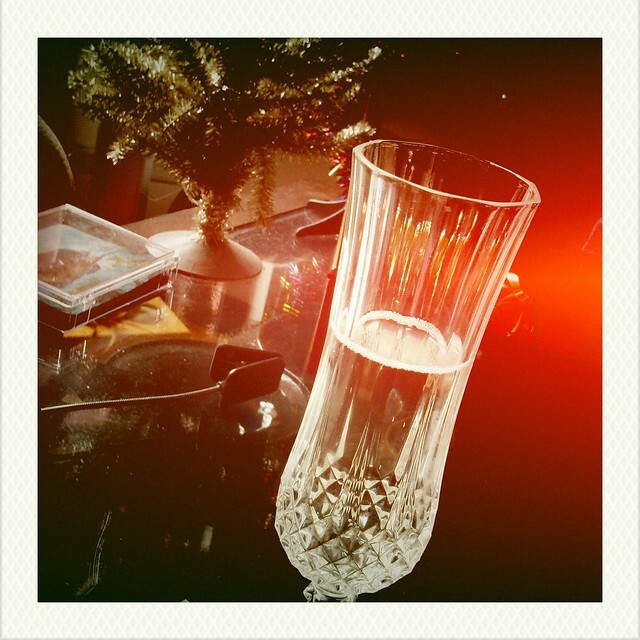 Today has been about champagne, homemade baked donuts, homemade soup, football, Magic Rocks, naps & general relaxation. Later: dinner, a puzzle & good wine. And, most probably, the destruction of said puzzle by cats (I'll take pictures, promise).